This is a long one folks, hold on to your ,,,,,,,, er ,,, horses! Pull up a chair and take the time to read refections from the past! I can't really recall, it must have been 2007, I was working at a middle school in Albuquerque where I met an 11 year girl named Alicia. She was a pretty girl always dressed in real nice new clothes. Although she appeared to be from an affluent background, she was very humble in nature. She touched my heart one hot day when I had been playing basketball with some of the boy on the basketball court. I was exhausted and overheating with sweat. She came over to talk to me and I asked her if the snack bar sold water. She said yes and I told her I needed to go to the office to get money to buy me some water. But as things happen from time to time, I got distracted for a few minutes. I saw Alicia return after a while and handed me a cold bottle of water. I asked her how much I owed her for the water and she said, "nothing." I was not necessarily touched by the fact she bought it for me (as money was not the issue with her), but that she thought of me when I needed water. So I got to know Alicia at school. I met her mother one day during a school visit and noticed her mother dressed in real nice clothes too. She was a Mexican national who spoke very little English. She also appeared to wear a lot of expensive jewelry and drove a luxurious white brand new Escalate. I asked Alicia where her Dad worked and she replied that she did not know because her dad lived in Ciudad Juarez. She said they visit him in the summers during school break. She said her mom did not work but that her dad sends them money. I once also had the occasion to visit their nice expensive home in an affluent neighborhood. The thought of how they got so much money crossed my mind a few times. So summer came and went, and school started again, but Alicia did not return. I became concerned and went to do a home visit, but did not find anyone at home. So I asked her best friend at school and I was not prepared for what I heard. I was told that her mother, father and little brother were killed in Ciudad Juarez. The friend told me that Alicia had moved to San Antonio with her aunt. So I started to do research about the incident on the internet and for the first time ever, I started to learn what was happening in Mexico. There was a real a wave of violence engulfing Mexico and Ciudad Juarez was the main battle ground for feuding drug cartels. 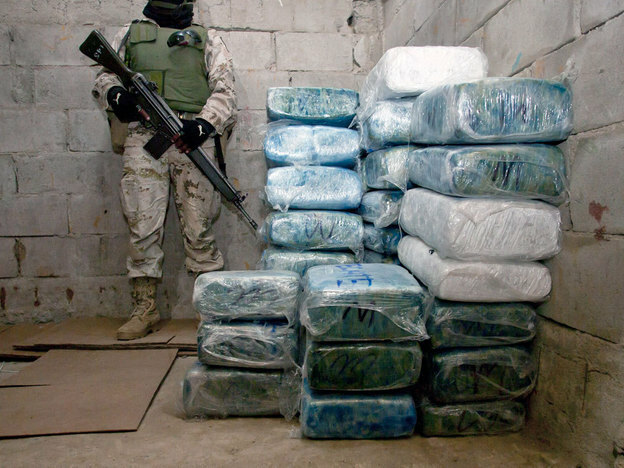 While researching I started to dive deep in to the dark side of Mexico’s drugs war. I did find the brief article of the incident. On the date in question, Dad was driving a tan car, mom was in the front passenger seat, little brother was on the right rear seat and Alicia was on the left rear seat. While the car stopped at a traffic light, two men armed with assault rifles came up to the car from both sides and opened fire on the Dad, mother and little boy. They were killed instantly. The man on the left side that had just shot and killed dad was supposed to shoot Alicia but did not. He pointed his gun at her and at the last moment did not shoot. Perhaps he had a little girl himself and felt compassion, who knows. With more than 15,000 murders blamed on Mexico's criminal gangs, 2010 was the deadliest year yet under President Felipe Calderon's controversial military offensive against organized crime. Calderon vowed to fight the country's powerful drug gangs when he took power after disputed elections four years ago, deploying tens of thousands of soldiers to help underfunded and often corrupt police. Gruesome killings, including beheadings, hangings and mass killings, have spread across the country since then, as the gangs have fought back and broken into splinter groups. Arms and human trafficking as well as extortion were also on the rise, he said. Almost 1,000 areas of the country lacked formal State control, according to studies conducted in May 2010. Daytime shootouts added to a growing climate of fear in Monterrey, a northern city and business hub, while the popular weekend retreat of Cuernavaca, near Mexico city, saw roadside hangings and threats to civilians as drug traffickers battled in the area. Officials insist the situation is under control. The government points to successes including the arrests and killings of a string of top drug traffickers as well as drug seizures, such as the record haul of 134 tons of marijuana in Tijuana, on the US border in October. But near daily killings continues. Gangs, such as the mysterious La Familia based in western Mexico, garner support and offer protection to communities neglected by the state, as well as carrying out extortion on scores of businesses. Despite recent small measures to counter money laundering, experts estimated that more than 77% of Mexico's economic sectors were partially in the hands of criminal groups. Mexican drug traffickers use billions of dollars of mainly US profits to enrich their organizations each year. A border sheriff has released the names and pictures of 151 people who escaped from a Mexican prison in December. 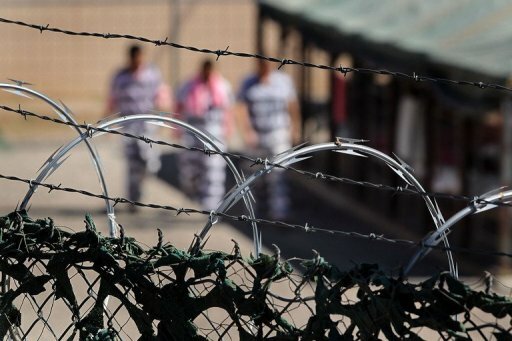 That count is up from early official tallies of 141, and the Mexican attorney general has said that 153 people escaped from the prison in Nuevo Laredo, across the Rio Grande from Laredo. The attorney general's office also announced this week that it is bringing formal charges against 41 prison guards accused of aiding the escapees. The Dec. 17 escape from Centro de Ejecución de Sentencias No. 2, known by its acronym CEDES, has been attributed to the Zetas drug gang that controls Nuevo Laredo. 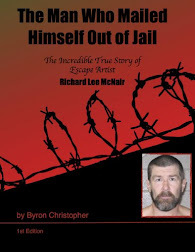 Among the escapees named by the Webb County Sheriff's Office is the nephew of a high-ranking Zeta and several prisoners who were accused of killing Zeta rivals who were being held at CEDES. The Zetas orchestrated the escape to swell ranks that have been thinned in their war with their former allies, the Gulf Cartel, to control drug trafficking lanes in northeast Mexico, according to the intelligence and security firm Grupo Savant. Among the escapees is Orlando Monsivais Treviño, 28, a nephew of Zeta second-in-command Miguel “El 40” Treviño Morales. Also among the escapees is Jose Manuel Garcia Briones, who was charged with the February 2009 death at the prison of Jesus Gonzalez III, a U.S. citizen who was facing extradition to the U.S. on charges that he'd helped carry out hits ordered by Treviño Morales during 2005 and 2006. Gonzalez had been accused by Mexican authorities of working for Garcia Briones. Other escapees were prisoners charged with the April 2009 killing of an accused hit man for the Sinaloa Cartel, one of the Zetas' rivals, and the accused killers of four Zeta imposters who had used the gang's reputation to intimidate their victims. One of the kidnappers told his victims that he was Treviño Morales, the Laredo Morning Times reported. Mexico's federal police said Friday that the once-fearsome La Familia drug cartel has been "completely dismembered" and has broken down into small groups that commit robberies to pay their members. The cartel has dominated crime in the western state of Michoacan for several years, making money by trafficking methamphetamines and extorting protection money from businesses. It has also become known for its bloody ambushes of federal police. La Familia has been thrown into disarray, however by the recent arrest and deaths of top members, including cartel leader Nazario Moreno, nicknamed "The Craziest One," who was killed in a shootout with police on Dec. 9. "Following the death of Nazario, the Familia Michoacana, as we know it, has been completely dismembered," federal police official Luis Cardenas Palomino told a news conference as he announced the arrest of another La Familia leader: Francisco Lopez Villanueva, known as "El Bigotes," or "The Mustache." "What are left are little groups that are isolated and completely disorganized," Cardenas Palomino said. "They have been committing bank robberies and robbing businesses to get money. ... This makes them more vulnerable." In a series of banners strung across roadways in Michoacan earlier this week, however, the gang has denied it is responsible for a recent wave of robberies in the state. "They say it was La Familia Michoacana, they want to blame us," read the banners. "Don't be deceived. The federal police came to rob, humiliate and kill our people." The cartel has demanded that federal police leave the state because of alleged abuses against civilians. La Familia depicts itself as the protector of Michoacan residents, and common robberies would clash with the image the gang tries to cultivate. The cartel offered to cease its activities if federal police agree to protect Michoacan against La Familia's rivals, the Zetas gang. Government officials said they would not negotiate with any drug cartels. Lopez Villanueva, arrested Thursday, was responsible for some of the recent bank robberies, police said. They said he was a former Zeta — the two gangs were once allies — before he went over to La Familia. He was also unusual, Cardenas Palomino said, because he was a native of neighboring Guerrero state, not Michoacan. 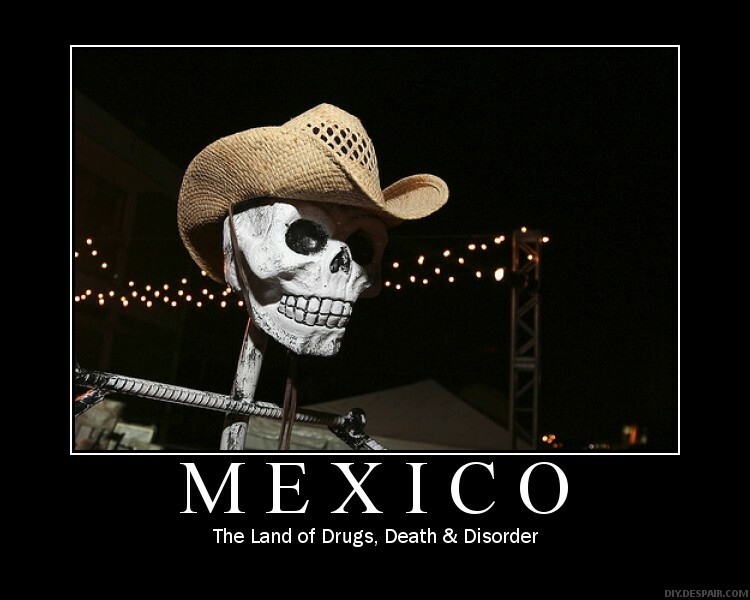 The cartel prides itself on a membership of Michoacan natives. Further to the north on Friday, a group of armed men shot to death four employees and two customers at a car wash in the Pacific coast city of Mazatlan. Horses at the Arizona Equine Rescue Organization in New River, Arizona. Found tottering alone in the desert with their ribs visible and their heads hung low, horses play a backbreaking, unappreciated role in the multibillion-dollar drug smuggling industry. 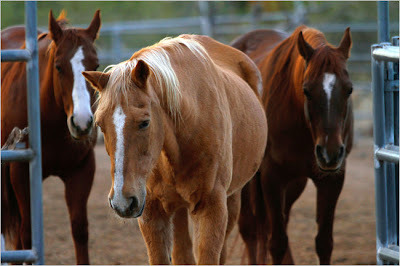 Even once rescued, the horses face an uncertain future. Since they are not from the United States, the state of Arizona must draw their blood and conduct a battery of tests to ensure that they do not carry any disease that would infect domestic livestock. Then the horses head to auction, where some are bought and shipped back to Mexico for slaughter. Others are luckier. 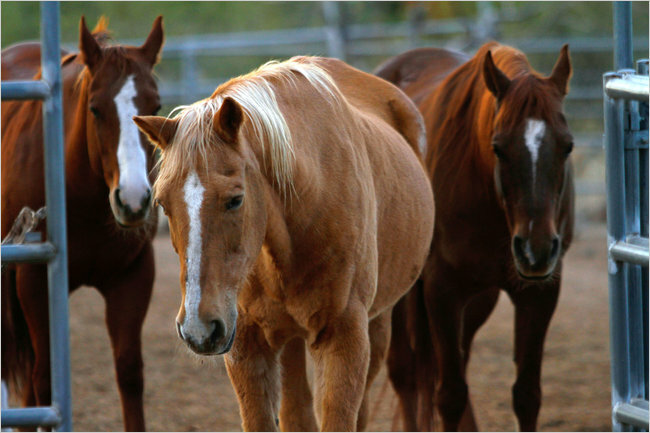 They find their way to equine rescue operations, which help place them with homes. One, named Lucky, had his tongue almost cut in half from the sharp wire bit put in his mouth. “I was told he was a drug horse,” Ms. Glore said. Farther north, at the Arizona Equine Rescue Organization in New River, Soleil K. Dolce said drug horses were just part of the problem. Ms. Dolce responds to police calls about horses that have escaped from illegal rodeos and are running down the street. Horses are also left at freeway off-ramps or tied to fences by owners who no longer want them, she said. Rehabilitating them is expensive and time consuming, Ms. Dolce said, and there is the possibility that some horses will never be adopted. “I can’t even describe the suffering these horses have gone through,” Ms. Dolce said, petting Rim Rock, who was abandoned in Tonto National Forest, east of Phoenix, several years ago and still suffers problems in his hooves. It is sometimes not clear when a horse is discovered exactly how it came to be abandoned. State officials say the economic crisis has led to many more animals being let loose by owners no longer able to care for them. But the horses that are found with Mexican brands are presumed to be smuggling horses. And sometimes the authorities have no doubt: groups of horses or donkeys are discovered in the act, with bales of drugs on their backs and their human guides hiding. Last year, seven horses laden with 971 pounds of marijuana were discovered by Border Patrol agents in the Patagonia Mountains in southern Arizona. The human smugglers had fled. He recalled one horse he came across in Pima County, not far from the Mexican border, that had deep wounds in its hide, was clearly malnourished and was so weak that it was trying to sit back on its hind end to take the weight off its legs. Mr. Cowan and a co-worker had to carry the horse into a trailer. Still, he said, horses are resilient. “They can come back from a lot,” he said. Some of the abused horses end up back in the rugged border region where they were first found, Mr. Cowan said. Instead of smuggling, though, they are sometimes used by law enforcement agencies to pursue the traffickers who mistreated them. The army often relies on numbers over intelligence and falls back on time-worn tactics, such as highway checkpoints, of limited use against drug traffickers. The shortcomings alarm U.S. officials. Four years and 50,000 troops into President Felipe Calderon's drug war, the fighting has exposed severe limitations in the Mexican army's ability to wage unconventional warfare, tarnished its proud reputation and left the U.S. pointedly criticizing the force as "virtually blind" on the ground. A series of secret diplomatic cables leaked recently revealed the United States' profound unease over Mexico's efforts, despite public assurances to the contrary, with stinging language criticizing the army as stymied by well-protected fugitive drug lords. U.S. diplomats and Mexican intelligence officials say the Mexican military and police distrust each other, refuse to share intelligence and resist operating together, squandering important potential gains. The Mexican army appears to have lost favor with U.S. officials who turn increasingly to the navy, whose special forces are more eager to work with the Americans and small enough in number to remain agile and less susceptible to corruption. At the same time, however, the naval marines' small size confines them to limited commando operations taking out targeted cartel leaders or dismantling small cells, not the massive presence needed to rein in the most widespread violence and retake lost territory such as Juarez, the eastern border state of Tamaulipas or the Golden Triangle drug bastion where Durango, Chihuahua and Sinaloa states meet. Not that the army has succeeded in those missions either. 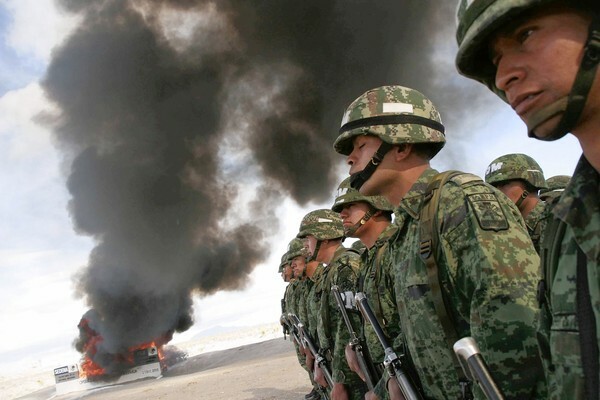 "Mexicans are paying a high price … for a strategy that does not seem to have much impact," said Roderic Ai Camp, an expert on the Mexican military at Claremont McKenna College. "It is not reducing drug consumption in the U.S., it is not reducing drug-related income for the trafficking organizations, nor is it reducing their influence in other activities," such as kidnapping and people-smuggling. "I don't see the army, or anyone else, winning this 'war' in the immediate future." Gunmen believed to be linked to drug cartels killed four police officers and a doctor in apparently coordinated attacks in and around the northern Mexican city of Monterrey, authorities said Thursday. n one of the attacks, gunmen opened fire on a Monterrey police station, killing a medical doctor who was administering tests to employees at the station and wounding three officers, Domene said. In two additional, separate attacks carried out within minutes of each other in the Monterrey suburb of Guadalupe, gunmen killed two police officers, a man and a woman. "Yesterday's events clearly represent acts by organized crime trying to intimidate or reverse the actions that authorities have taken ... to counter the violence that has been unleashed in our state," Domene told a news conference. Monterrey, Mexico's third-largest city, has been rocked by drug-cartel turf battles. Also Thursday, the navy said in a statement that it had captured four suspects linked to drug-cartel activities, including two females under the age of 18. The mother of four raised a finger, pointing out abandoned and stripped concrete homes and counting how many families have fled the Western Hemisphere's deadliest city on her street alone. "One, two, three, four, here, and two more back there on the next block," said Laura Longoria. The 36-year-old ran a convenience store in her working-class neighborhood in south Juarez until the owners closed shop, fed up with the tribute they were forced to pay to drug gangsters to stay in business. Her family vowed to stick it out. But then came the kidnapping of a teen from a stationery shop across the street. After that, Longoria's husband, Enrique Mondragon, requested a transfer from the bus company where he works. "They asked, 'where to,'" he recalled. "I said, 'Anywhere.'" No one knows how many residents have left the city of 1.4 million since a turf battle over border drug corridors unleashed an unprecedented wave of cartel murders and mayhem. Business leaders, citing government tax information, say the exodus could number 110,000, while a municipal group and local university say it's closer to 230,000 and estimates by social organizations are even higher. The tally is especially hard to track because Juarez is by nature transitory, attracting thousands of workers to high-turnover jobs in manufacturing, or who use the city across the Rio Grande from El Paso, Texas, as a waystation before they slip north illegally. But its toll is everywhere you look. Barely a week goes by when Longoria and her husband don't watch a neighbor move away. Then the vandals arrive, carrying off window panes, pipes, even light fixtures, until there's nothing but a graffiti-covered shell, surrounded by yards strewn with rotting food or shredded tires. That could be what's in store for Longoria's three-room home of poured concrete if her husband's transfer comes through. Long controlled by the Juarez Cartel, the city descended into a horrifying cycle of violence after Mexico's most-wanted kingpin, Joaquin "El Chapo" Guzman, and his Sinaloa Cartel tried to shoot their way to power here beginning in 2008. President Felipe Calderon sent nearly 10,000 troops to restore order. Now, the Mexican army and federal authorities are going door-to-door, conducting an emergency census to determine just how many residents have fled. Many people, however, refuse to answer their questions for fear authorities are simply collecting information about neighborhoods so they can begin extorting residents — just like the drug gangs. "Soon," Longoria said, "there won't be many people left to count." While many Juarez residents fleeing the violence seek out more peaceful points in Mexico, others have streamed across the border into El Paso, population 740,000, where apartment vacancies are down and requests for new utility services in recently purchased or rented houses have spiked, according to Mayor John Cook. 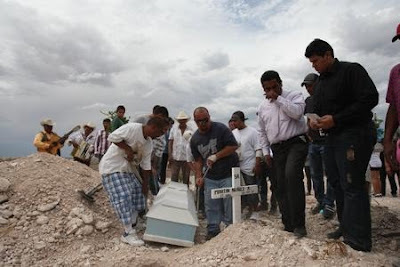 Massacres, beheadings, YouTube videos featuring cartel torture sessions and even car bombs are becoming commonplace in Juarez, where more than 3,000 people have been killed this year, according to the federal government, making it among the most dangerous places on earth. El Paso, by contrast, has had three violent deaths — and one was a murder-suicide. Juarez Chamber of Commerce President Daniel Murguia said at least 6,000 city businesses have closed so far this year, according to Mexican Interior Ministry figures. There is no data available on those shuttered amid last year's and 2008 violence, however, or on scores of businesses targeted by arsonists. 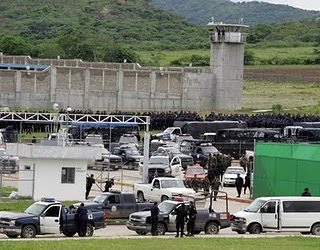 Los Zetas left Tamaulipas to seek refuge in Monterrey, where they control the local police, according to a U.S. consulate communication in the capital of Nuevo León. The Wikileaks cable also says that in addition to this, the consulate of the U.S. does not believe governor Rodrigo Medina when he says that the escalation of violence if due to the security measures implemented by the state government. A new Wikileaks cable reveals the the U.S. government didn't believe the authorities in Nuevo León when they tried to claim a series of grenade attacks against police stations were the result of the effective government strategy to control organized crime. The classified information had was numbered 10MONTERREY66 and was sent on the 28th, this past February from the U.S. consulate in Monterrey, a day after narcos attacked 5 police stations in the state of Nuevo León. 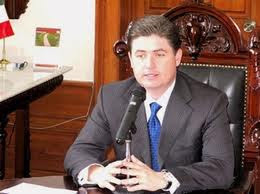 The situation was characterized in the cable as "Nuevo León is out of control," and despite the assurances of the press secretary of the Medina administration, Javier Treviño Cantú, that all this was the criminal response to the major successes of the anti-crime initiative, the communication read "this explanation is not persuasive and for that matter, in most cases the new programs targeting organized crime are part of the federal response, not the state's." It would appear that the U.S. consulate doesn't believe the government of Rodrigo Medina. It goes further to state that despite an announcement of joint operations between state and federal authorities in Monterrey and other municipalities, the most likely cause for attack was due to the penetration of los Zetas in the area, and it was a message from the Gulf cartel to the local police, a signal they should stop supporting the Z and get back in line the CDG. According to the communication, other explanations could be that the attacks were an attempt to "calentar la plaza" or loosely translated, 'heat up the area;' a term that means to attack lucrative enemy drug retail and smuggling areas in order to attract the attention of authorities and bring a crackdown on rival cartels, without regard for the lives of innocents. However, the exact words of the cable read: " None (the explanations) of them involve a response by organized crime due to the 'effectiveness' of the forces of the state government. It goes on to say that it was after this attack that the public of Monterrey began to fear a level of violence that had not yet been seen on the frontier. "The citizens have halted trips to the countryside and buses have canceled routes through certain areas of the state. Those who are brave enough travel between Monterrey and Saltillo, Coahuila, the violence between the cartels and the army have augmented daily life"
Also in the cable was a record of confidential sources who reported that sicarios arrived by car to the city, firing automatic guns from the windows. They entered Monterrey by highways connected to Reynosa. The DEA confirmed there was an incread in the confrontations between the miliatary and los Zetas that began on Feb 27th of this year in the northern and southern municipalities of Monterrey. Another part stated that other sources revealed incidents that people had seen or heard, but not reported. For instance, there is information that the leader of Los Zetas, Miguel Hieriberto Lazcano "el Lazca", hid in Monterrey and planned a major portion of his organizations counterattack on the Gulf cartel in Tamaulipas. The same information said that los Zetas also consider Saltillo, Coahuila as safe haven. A recent security conference has considered the possiblity that the CDG continues to attack police departments loyal to the Z in Monterrey and the surrounding areas, including Santa Catarina.. It could be said that the U.S. government is entertaining the idea that los Zetas control the police in Monterrey. 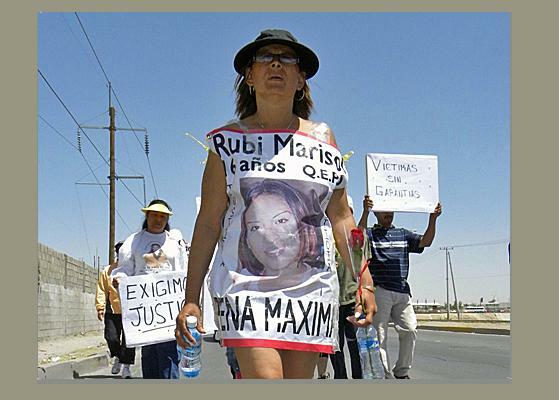 Maria Luisa Aragon was killed in Juarez, Mexico, on Dec. 9, 2009, in a case of mistaken identity. She is among the 30,000 victims of Mexico's brutal drug war. Jaime Aragon met his wife, Maria Luisa, at a restaurant he used to own. She walked in with wavy, jet black hair, pretty eyes and a radiant smile. Aragon was smitten. They shared a passion for cooking and loved Mexican country star Vicente Fernandez. A few months after they met, the couple married on Valentine's Day. "She had a unique smile that brought warmth to everybody, made everyone feel happy and welcome," Aragon says. Maria Luisa also was very charitable, and once a month she would visit a struggling family in a poor barrio in Juarez. "So my wife would get together clothes for them, medicines, food, and we would take them a little bit of money," he says. Last year, on Dec. 9, Maria Luisa was picking up medical supplies for that family. She and her pastor drove to a local hospital. "And so she left him at the door. And when she went and parked, a car drove up and opened fire, and they killed her," her husband recalls. She is one of the more than 30,000 people killed in the past four years in Mexico's war with drug cartels. In Juarez alone this year, more than 3,000 people died in drug-related violence. Many of those killed are involved in criminal gangs. But many others, such as Maria Luisa, were not. It was a typical drive-by shooting, the kind that happens nearly every day in Juarez. But in this case, Maria Luisa wasn't the intended target. "My wife was at the wrong place at the wrong time. It was a mistaken identity. Because at 2:25 in the afternoon, Channel 44 news, they tell me that they had found another truck — the same year, same model, same color, and they had killed a man and a woman," Aragon says. In the other car, police identified a woman known as "La Jefa," or the boss. They also found weapons stashed in the back of the car. To date, police have not made arrests in either of the killings. "We were not doing anything wrong. We were not involved with the wrong people. My wife was just an innocent bystander, and you know, what happens in Juarez affects all of us," Aragon says. Like thousands of Juarez families, Aragon shuttered his home there and brought his children to live permanently in El Paso, Texas, where he works for a local college. Their lives are forever changed. "It's very hard because I had the plans and the hope of my wife coming back to the U.S., and buying a house and growing old together," he says. Mistaken identity is one way innocent people are caught in the crossfire. 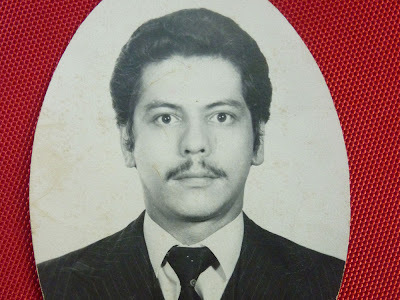 Many others are killed simply doing their job — doctors, lawyers, police and journalists; among them, an anesthesiologist named Jose Ortiz Collazo, killed July 16. His brother Miguel tells the story. "He was in his office a block away when he heard gunshots. He and his son went out to see what happened. When he saw someone was injured, he sent his son back to his office to get his first-aid kit," he says. Moments later, a car bomb, detonated remotely, exploded. Ortiz was in the center of impact. Photos of the aftermath show him sitting on the pavement hunched over and surrounded by twisted metal and glass. His white lab coat is tattered and bloody. Ortiz only lived a few hours afterward. When his brother Miguel heard the news, he rushed from his home in El Paso to the hospital in Juarez. "It's so difficult to describe. Half of his face was torn off by the blast. He was missing an eye. He lost two or three fingers. His arms were broken, his legs were fractured, and he was losing a lot of blood," he says. Miguel's last words to his brother were that he would take care of his son, Kevin, the one who survived the explosion. Ortiz has three other children, including a 9-year-old daughter. While Ortiz was a casualty of an attack believed to be aimed at federal police, violence has struck doctors in Juarez especially hard. This year, a pediatrician and an orthopedic surgeon were kidnapped and murdered. Many others are threatened and extorted. Gunmen even follow survivors of their attacks into hospitals with the intent of finishing them off. Many doctors have fled Juarez, but thousands more remain. Miguel says his brother died unjustly. Even so, he says he died doing his duty helping others. Like many other families in Juarez and across Mexico, Miguel braces himself for yet another year in such a violent reality. "We hope it gets better," he says. But of course, that's what many hoped for last year. Dr. Jose Ortiz Collazo is pictured here as a medical school graduate. In July, a car bomb in Juarez killed Ortiz as he was trying to help people injured by gunfire. The husband, surviving children and grandchild of Marisela Escobedo, an anti-crime activist gunned down Dec. 16 in front of the Chihuahua state governor’s palace, have fled Mexico for the United States, Chihuahua officials said. The late woman’s spouse declined Chihuahua’s offer of support and protection for 4-year-old Rubi, the granddaughter of Marisela and daughter of Rubi Marisol, whose 2008 murder spurred her mother’s crusade for justice, state government Secretary-General Graciela Ortiz told reporters. Two days after Escobedo was slain in Chihuahua city, husband Jose Monge Amparan’s lumber yard in Ciudad Juarez was burned down. 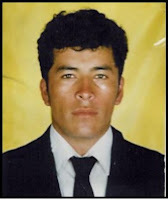 Jose’s brother, Manuel Monge, turned up dead a day after the arson attack. Marisela Escobedo led numerous protests in Juarez, located across the Rio Grande from El Paso, Texas, and in the state capital, to demand justice for her murdered daughter. The 52-year-old woman was fatally shot Dec. 16 by one of the three men who approached her and initiated an argument as she was picketing in front of the state governor’s palace in Chihuahua city. 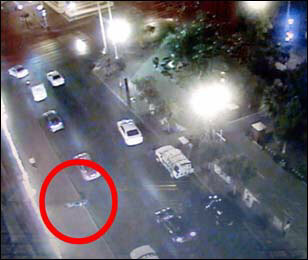 Images captured by security cameras shows Escobedo running across the street to get away from the three assailants, one of whom chased the woman and shot her in the head at point-blank range. Rubi Marisol Freyre Escobedo, 16, was murdered in August 2008. Her boyfriend, Sergio Barraza Bocanegra, was arrested and charged with the crime in 2009, but his trial ended April 30 in an acquittal, with judges citing a lack of evidence. Though an appellate court subsequently overturned that decision and found him guilty, he remains at large. 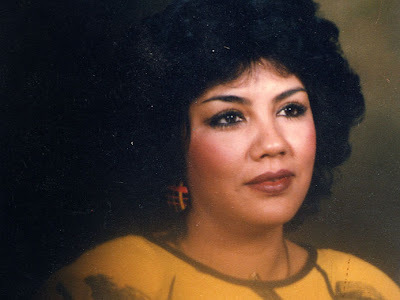 Barraza’s family subsequently threatened the victim’s mother for trying to conduct her own investigation, Marisela Escobedo told El Diario de Juarez newspaper days before her death. 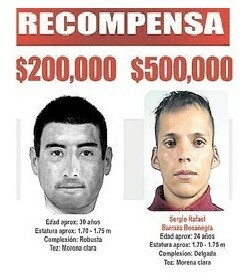 After Marisela Escobedo was killed, the Chihuahua state government posted a reward of 500,000 pesos ($40,650) for information leading to the arrest of Barraza. Juarez, where more than 3,100 people have been slain this year, is Mexico’s murder capital, while Chihuahua accounts for more than a third of the 30,000-plus drug-war deaths reported nationwide since December 2006. Men claiming to belong to the Zetas drug gang forced radio stations to broadcast a threat of war in a northern Guatemalan province where the government declared a state of siege last week, authorities said Tuesday. The men arrived at three radio stations in the northern city of Coban and threatened to burn the premises down and kill journalists and their families if the message was not broadcast, Interior Ministry spokesman Nery Morales said. The message, which the radio broadcasters read out Monday, threatened violence if Guatemalan President Alvaro Colom does not fulfill unspecified promises. It said "war will start in this country, in shopping malls, schools and police stations." Guatemala declared a month long state of siege Dec. 19 in the northern province of Alta Verapaz, a prime corridor for smuggling drugs from Honduras to Mexico and a bastion of Mexico's brutal Zetas drug gang. 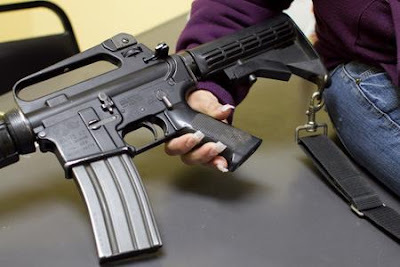 Residents in the city of Coban say gangs roam the streets with assault rifles and armored vehicles, extorting and kidnapping people. Shootouts have become a daily occurrence. The government deployed 300 soldiers to join about 500 police in patrolling the province. The state of siege lets the army detain suspects without warrants, conduct warrantless searches, prohibit gun possession and public gatherings, and control the local news media. 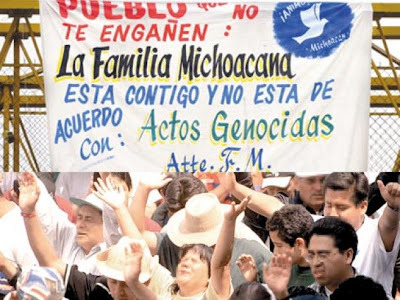 Guatemalan law allows a state of siege for acts of terrorism, sedition or "rebellion," or when events "put the constitutional order or security of the state in danger." Security forces have captured 21 suspected Zeta members and seized 150 weapons - including assault rifles and grenade launchers - since the operations began. Colom vowed Tuesday not to back down, though he did not specifically mention the threat against the radio stations. The Zetas have begun controlling cocaine trafficking in the area since the gang killed Guatemalan drug boss Juan Jose "Juancho" Leon in 2008. They are blamed for numerous shootings in the region, plus the killing of five police officers in 2009, a confrontation that resulted in the confiscation of 500 grenades and other military weapons and ammunition. Officials also say the Zetas have been recruiting from local indigenous groups, who suffer extreme poverty, in Alta Verapaz, and many people apprehended in Zeta operations are from the local area, according to prosecutors investigating drug crimes. "This is a message for the President of Guatemala. 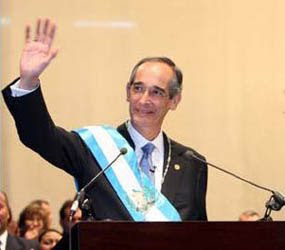 We are los Zetas and we want the people to know that President Alvaro Colom received 11.5 million dollars before closing elections in the country during 2007 and he will pay for not following through with the agreement. He will pay with the lives, whether innocent of guilty, thus begins the war in the country, in commercial centers, in schools and in police stations." 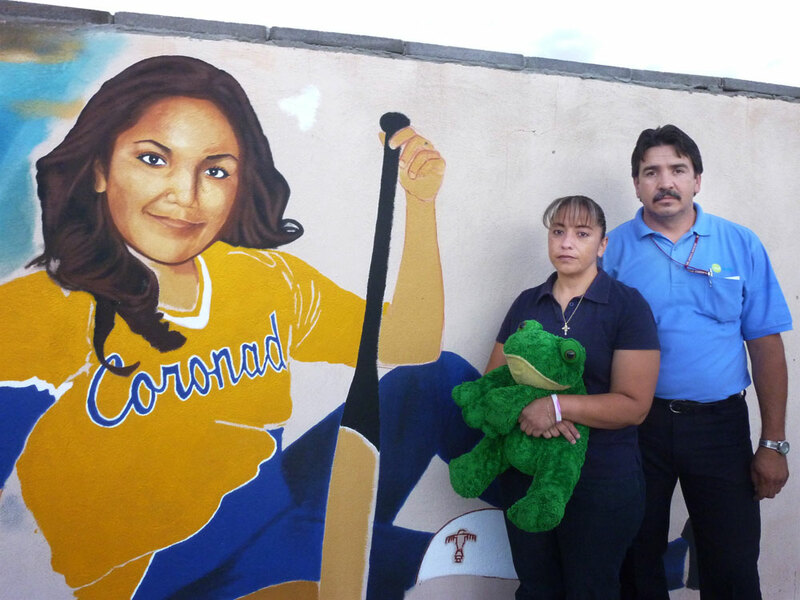 Tanya Lozoya's parents stand by a mural of their daughter in her softball uniform, painted in the backyard of their home near El Paso, Texas. A stray bullet killed the teenager on May 16, 2009, while she attended a baptism party in Juarez, Mexico. 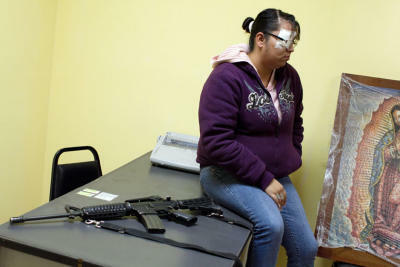 She is one of more than 30,000 casualties in Mexico's drug war. At a community center high in the rough western hills of Juarez, Lupe sits on a worn love seat inside a small counseling room. Outside, a harsh wind splats desert sand against the window pane. Out of safety concerns, she doesn't want to be identified by her last name. Lupe agreed to meet at the center; she doesn't feel safe talking in her neighborhood, where her son was killed last summer. He is one of the more than 30,000 people killed in the past four years in Mexico's war with drug cartels. Many were gang members or somehow tied to the cartels; many were police or soldiers. Others were random bystanders. They were old and young — like Lupe's son. Lupe works at one of hundreds of maquiladoras, or factories, in Juarez. "Life here is very difficult. When I married, I had to get a job so that I could help my husband," she says. On a salary of about $10 a day, workers like Lupe manufacture parts for cars, cell phones and flat-screen TVs that later end up on store shelves in the United States. The workers live in poor squatter communities that are breeding grounds for criminals. "There's a family of drug traffickers who live nearby. They recruit people from around the neighborhood. They watch and wait for just the right moment. Then they attack," she says. In her son's case, the right moment came when Lupe's husband became sick and died. Lupe worked overtime to make ends meet and couldn't spend much time with her kids. Her son, Oscar, soon dropped out of school and began hanging out with the family of drug traffickers. They had children his age. They drove nice cars and lived in a big house. Oscar never even owned a decent pair of tennis shoes. "That was beginning of the biggest tragedy of my life," Lupe says. Her son soon began working for the drug traffickers. One day, the 18-year-old saw two fellow traffickers murdered by rival gangsters. Because he was a witness, that meant the end for him, too. Lupe says the gangsters ran over him with a four-wheel-drive truck. When she went to identify the body at the funeral home, she could barely recognize her son. "And that's the image that I carry with me everywhere, when I eat, when I sleep, at every moment — my son's face torn to shreds," she says. Lupe's son might have had a different future. As a boy, he got good grades and he was a promising saxophone player. But, Lupe says, once he was sucked into the drug gang, he couldn't get out. Less than a mile from the Mexican border, Tanya Lozoya lived a far different life. Her parents emigrated from Juarez to the United States hoping to give their children more opportunities. Tanya was a 15-year-old freshman at an affluent high school in nearby El Paso, Texas. "She was very intelligent. She was a bright girl, very generous, very kind," says Veronica Lozoya, Tanya's mom. Her daughter was a straight-A student. She was in student council, honor society and softball. Her room was filled with school trophies. She dreamed of going to Harvard to study law. "The teachers would always tell me that they wish there could be more students like her. That they wish she could be cloned, because she was very special," Veronica says. No one expected Tanya's life would end so abruptly. Like so many families who live on the border, the Lozoyas have relatives on both sides. On May 16, 2009, the family attended a baptism party at a home in Juarez. They sat in the living room with relatives when all of a sudden two strangers broke into the back of the house. They were gangsters. One chased the other into the living room and out the front door while shooting his gun. Everyone in the room dropped to the floor. "When I got up, I turned around and she was on the floor just laying. She won't move. There was blood everywhere, but I didn't know if it was hers, and I started screaming for help," Veronica says. A stray bullet punctured Tanya's neck. She died instantly. "I wish it was a nightmare, because you wake up in a nightmare and it's gone. But it's not a nightmare. It's reality. It's a cruel reality that you have to live day by day, knowing that your daughter is not here no more," she says. Inside the modest Lozoya home, Tanya's picture is everywhere. Her father, Abraham, tattooed her image on his bicep. And in their backyard is a mural of Tanya in her softball uniform, smiling. She is among the more than 200 Americans killed in Mexico since 2007. Veronica Lozoya calls Tanya, her only daughter, her best friend. In a war fueled by the U.S. appetite for drugs, Veronica says it's wrong that innocents like her daughter die. Guatemala captured nearly two dozen suspected drug traffickers, automatic weapons and small planes in a country-wide sweep to crack down on Mexican cartels smuggling drugs through Central America. The arrests, four on Saturday and 18 over the past week, are the biggest blow yet to the Zetas drug gang, now operating in around 75 percent of the Guatemala's territory, according to security officials, Reuters reported Sunday. “These individuals were not just preparing to confront the security forces, they were preparing to take control of the country,” Guatemalan President Alvaro Colom told reporters last week after sending hundreds of soldiers and police to the state of Alta Verapaz to take on the cartel. The government declared a “state of siege” in the remote state on Dec. 19, which gives security forces expanded powers to arrest and interrogate suspects while limiting freedom of movement and assembly for a month. Police have so far confiscated 239 assault weapons, explosives, 28 Humvees and five small planes in the raids. A top leader of the Zetas – formerly a Guatemalan special forces soldier – was also caught in the operations. 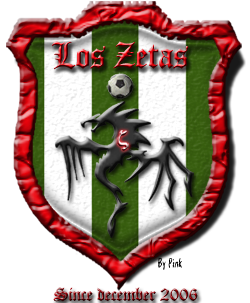 The Zetas, originally formed by Mexican Army deserters, have been known to recruit elite Guatemalan troops, called Kaibils, who are trained in jungle warfare and infamous for brutal massacres during Guatemala’s 1960-1996 civil war. Once the armed wing of Mexico’s Gulf cartel, the Zetas broke off on their own and are now fighting their former employers for control of valuable drug trafficking routes. Guatemala, with two coasts and a long, porous border with Mexico, is strategic territory for cartels that use small planes, trucks and even makeshift submarines to move Colombian cocaine to consumers in the U.S.
Drug lord Joaquín “El Chapo” Guzmán, leader of the Sinaloa cartel, was arrested in Guatemala in 1993 and extradited to Mexico. Guzmán escaped from a maximum security prison in 2001 and is now Mexico’s most wanted man. 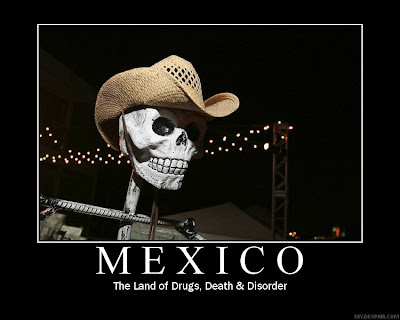 The government’s security strategy has succeeded in weakening Mexico’s drug cartels, including the Pacific cartel, whose members accounted for 24 percent of the drug arrests made in the country this year, the Security Cabinet said. Record drug seizures and other blows have weakened the criminal organizations, the body, which is made up of several Cabinet secretaries and the Attorney General’s Office, said. “From the start of the current administration until the present date, 24 percent of all those arrested for crimes against the public health (drug trafficking) and linked to a criminal organization were members of the Pacific cartel,” the Security Cabinet said, referring to a gang that critics allege has received preferential treatment from officials. 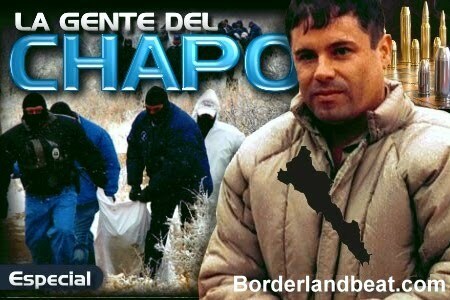 Mexican officials sometimes refer to the Sinaloa drug cartel, which is led by drug lord Joaquin “El Chapo” (Shorty) Guzman, as the Pacific cartel. The federal government will fight all criminal organizations that threaten Mexico’s security and the health of its citizens, the Security Cabinet said. The security operation in northeastern Mexico, where the Gulf and Los Zetas cartels have been engaged in a turf war this year, has resulted in a drop in the crime rate, while the operations of the La Familia Michoacana cartel have been reduced in the southern state of Michoacan. The blows against the Sinaloa cartel “have been equally intense and systematic,” resulting in constant arrests of members that “reduced the capabilities of that criminal organization,” the Security Cabinet said. Five high-level Sinaloa cartel members – Jesus Reynaldo Zambada, Vicente Zambada Niebla, Eduardo Teodoro Garcia Simental, Manuel Fernandez Valencia and Jose Manuel Garcia Simental – were arrested this year, the government said. Ignacio “Nacho” Coronel, considered one of the three most powerful drug traffickers in Mexico, was killed in a clash with army troops on July 29 in Guadalajara. The 56-year-old Coronel allegedly ran the Sinaloa organization’s cocaine trafficking operations in the Pacific coast states of Jalisco, Colima, Nayarit and Michoacan. The security forces, moreover, arrested 19 cartel members, including Dimas Diaz Ramos, David Garcia and Olga Cristina Lerma, involved in the financial side of the business. Drug seizures, especially marijuana seizures, affected the operations of the Sinaloa and Beltran Leyva cartels, the Security Cabinet said. Rarely do statistics tell the whole truth, but mark Juárez as an exception. It accounts for 1 percent of Mexico's population and more than 20 percent of the country's murders. Juárez is death city, the most dangerous place in North America, and it is getting worse by the year. It has had more than 3,000 murders in 2010, an average of almost nine a day. Sixty-four of its police officers were among those killed. El Paso, by contrast, saw its number of homicides drop to five this year from 13 in 2009. Both totals were uncommonly low for a city of more than 620,000. New York City probably will finish 2010 with fewer than 600 homicides, and it has six times the population of Juárez. The Mexican city is home to 1.3 million people. 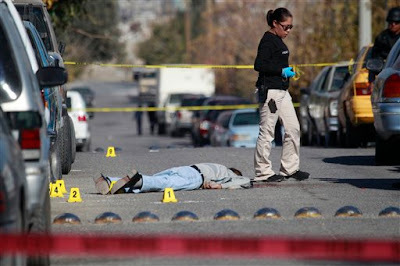 With a week still left in the year, Juárez has exceeded its 2009 murder toll by 400, an increase of more than 15 percent. The city has almost doubled the 1,608 murders it had in 2008, when the first explosion of violence occurred. Worse, there is little or no chance that the killings will be solved. Juárez police, who number about 3,000, and investigators from Chihuahua state simply cannot keep pace with the carnage, much of it attributed to gangs and warring drug cartels. Even if the government in Juárez were 100 percent honest, something no one believes to be true, police could not begin to arrest all the killers in their midst. In an imperfect or corrupt system, criminals have the upper hand. "One of the things lacking over there is a commitment to law enforcement," said Greg Allen, police chief of El Paso. Allen said a murder in El Paso brings an immediate show of force and dispersal of vast resources. He and his command staff assign up to 16 detectives and officers to every homicide. Allen empathizes with those trying to maintain law and order in Juárez, where kidnapping, extortion and murder are so common that even a day of double-digit killings may not make the front page in El Paso. He said his own department, with about 1,100 officers, is overrun with calls from crime victims, though most cases are mild compared with what is happening in Juárez. "Everything we're doing right now is a Band-Aid effect," Allen said, citing a case in which his officers did not respond to victims of car thefts for more than five hours. He said such inefficiency in El Paso - the safest large U.S. city, according to a survey by CQ Press - is his greatest frustration. For the conscientious cop in Juárez, knowing that murderers operate with impunity is the worst part of an impossible job. Randolph Roth, a history professor at Ohio State University who has studied murder from colonial times to the present, said the crisis in Juárez is comparable to a handful of other places. One was the mafia wars in Sicily during various stretches of the 1900s. France's outlying provinces during its revolution and the American South during Reconstruction were equally violent, as criminal gangs asserted their power, Roth said. "In all of those places, the central government had not been able to establish its control," he said. "What's happened in Mexico is similar. The cartels have tried to become warlord governments on their own. It is very hard, as we are finding in Afghanistan, to root these factions out." One commonality in all the most violent places was that law-abiding people fled. This has been the case in Juárez and its environs, said Arvin West, sheriff of Hudspeth County, Texas. His deputies patrol just across the border from the Mexican towns of Guadalupe and El Porvenir, where an exodus occurred last Easter. "All the little villages further in evacuated," West said. "Farmers and ranchers just let their horses and cattle go free when they left." One riverside shootout left three men wounded on the U.S. side and another dead on the Mexican side. West said murders in the rural towns of Mexico subsided after springtime. Still, vigilance is his watchword. "It ain't no safer than it was two years ago. It's a ticking time bomb," West said. A father and son with ties to El Porvenir died in October, killed by gunmen who invaded their home in Juárez. The victims, Rito Grado Serrano, 59, and Rigoberto Grado Villa, 37, were perforated with 22 bullets. Though Rito Grado lived in Juárez, he was a government executive of El Porvenir. Police Chief Allen said El Paso has a sizable shadow population because of people fleeing Juárez. He puts the figure at 30,000, but said "that number is conservative." Tony Payan, an associate professor of political science at UTEP who specializes in border issues, estimated that the number who have left Juárez for U.S. cities is 80,000 to 100,000. "I have students who are living four or five to an apartment in El Paso," Payan said. "Even if it's just American citizens or people with dual citizenship moving across, it's a phenomenal number." The departures, the bullets, the loss of jobs have combined to end night life in Juárez. Shuttered stores dominate shopping areas. Juárez's massive factories, many tied to American companies, have withstood the trauma better. "The maquilas have seen an uptick in orders, but they are not adding jobs or capacity," Payan said. In shell-shocked Juárez, he sees worrisome new developments. "Men 18 to 35 who were involved with the cartels are dying, dead, disabled," he said. "More women and juveniles are involved now. The women are not killing, but they are used in drug sales at the retail level." As for juvenile males, gangs enlist them for extortion and drug running. 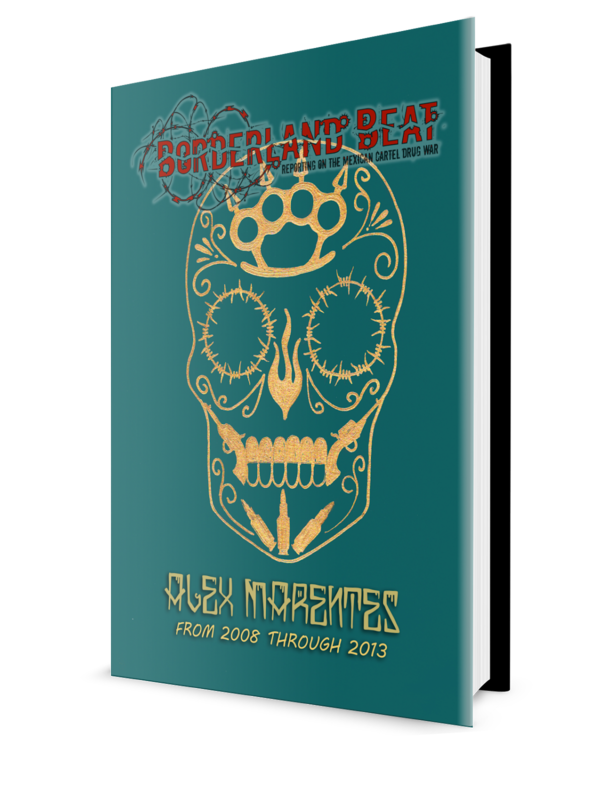 So great are the number of murders in Juárez that writing and reading about them can take on an antiseptic quality. Some days the death toll is so numbing, the victims so faceless, that it is as though we are watching people die in television shows. On Jan. 10, a story in the El Paso Times began this way: "The violence continued Friday in Juárez with at least 18 slayings. ... One man was cut into pieces, another was decapitated, one was hanged, a man in a wheelchair was shot to death and three women were killed." Typical modern day Mexican young cartel gunmen. You will see them driving around in brand new trucks or SUVs playing narco-corridos. WARNING: video depicting narco-corrido, discretion advised.